The second half of the year, for me, is conference time. 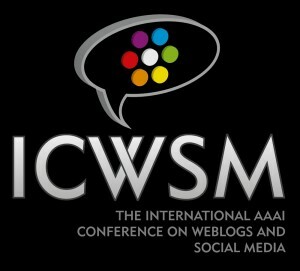 This year is no exception and, after enjoying NetSci in June, this month I went to ICWSM: International Conference on Weblogs and Social Media. Those who think little of me (not many, just because nobody knows me) would say that I went there just because it was organized close to home. It’s the first conference for which I travel not via plane, but via bike (and lovin’ it). But those people are just haters: I was there because I had a glorious paper, the one about internet memes I wrote about a couple of months ago. In any case, let’s try to not be so self-centered now (good joke to read in a personal website, with my name in the URL, talking about my work). The first awesome thing coming to my mind are the two very good keynotes. The first one, by David Lazer, was about bridging the gap between social scientists and computer scientists, which is one of the aims of the conference itself. Actually, I have been overwhelmed by the amount of the good work presented by David, not being able to properly digest the message. I was struck with awe by the ability of his team to get great insights from any source of data about politics and society (one among the great works was about who and how people contact other people after a shock, like the recent Boston bombings). For the second keynote, the names speak for themselves: Fernanda Viégas and Martin Wattenberg. They are the creators of ManyEyes, an awesome website where you can upload your data, in almost any form, and visualize it with many easy-to-use tools. 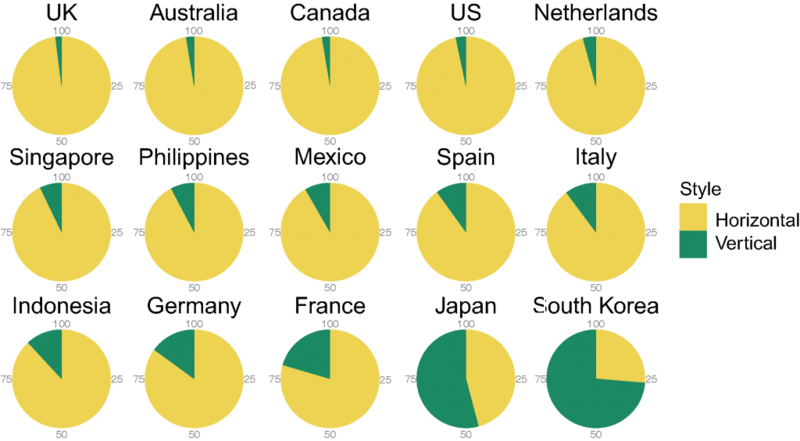 They constantly do a great job in infographics, data visualization and scientific design. 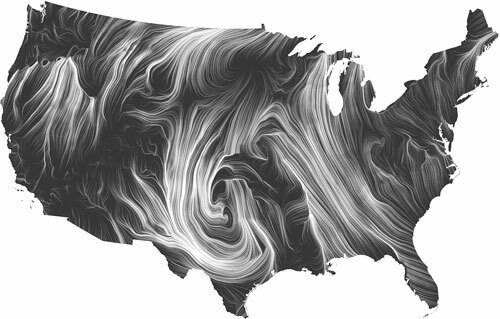 They had a very easy time pleasing the audience with examples of their works: from the older visualizations of Wikipedia activities to the more recent wind maps that I am including below because they are just mesmerizing (they are also on the cover of an awesome book about data visualization by Isabel Meirelles). Talks like this are the best way to convince you of the importance of a good communication in every aspect of your work, whether it is scientific or not. My other personal honorable mention goes to Morstatter et al.’s work. These guys had the privilege to access the Twitter Firehouse APIs, granting them the possibility of analyzing the entire Twitter stream. After that, they crawled Twitter using also the free public APIs, which give access to 1% of all Twitter streams. They shown that the sampling of this 1% is not random, is not representative, is not anything. Therefore, all studies that involve data gathering through the public APIs have to focus on phenomena that include less than 1% of the tweets (because in that case even the public APIs return all results), otherwise the results are doomed to be greatly biased. Workshops and tutorials, held after the conference, were very interesting too. Particularly one, I have to say: Multiple Network Models. Sounds familiar? That would be because it is the tutorial version of the satellite I did with Matteo Magnani. Luca Rossi and others at NetSci. Uooops! This time I am not to blame, I swear! Matteo and Luca organized the thing all by themselves and they did a great job in explaining details about how to deal with these monstrous multiple networks, just like I did in an older post here. I think this sums up pretty much my best-of-the-best picks from a very interesting conference. Looking forward to trying to be there also next year!